PARIS — After weeks of large street protests, Algeria’s army chief of staff called Tuesday for a declaration that the incapacitated 82-year-old president, Abdelaziz Bouteflika, be deemed unfit to rule, appearing to pave the way for an end to his 20 years in power. The army chief of staff, Gen. Ahmed Gaid Salah, one of the top power brokers in the regime, who had until recently been loyal to the president, threw his weight behind what he called the “legitimate demands” of the demonstrators in a speech broadcast continuously on Algerian television. The statement from the powerful army leader, in a speech in the central town of Ouargla, seemed to signal an end to the president’s rule, and the thousands who have taken to the streets of the capital Algiers and other cities nearly daily for weeks greeted the news with joy. Mr. Bouteflika, paralyzed and in a wheelchair, has not spoken to his country in years. 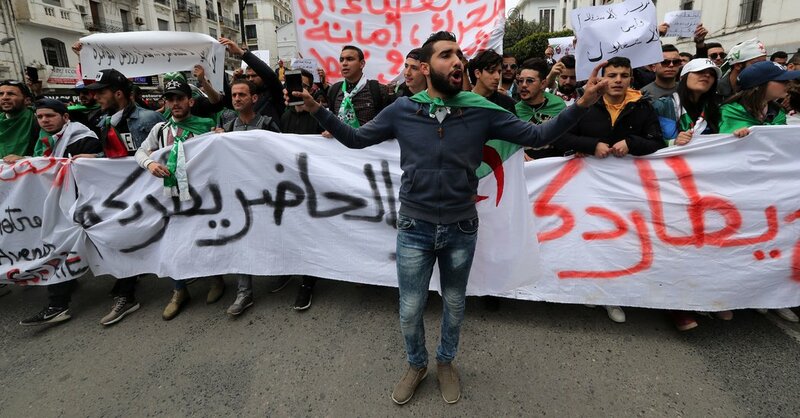 The general’s speech marked a second victory for the Algerian street protesters in less than three weeks. Previously they forced Mr. Bouteflika to withdraw his candidacy in presidential elections, which he also canceled. The constitutional council, has previously resisted calls to declare the president unfit, and in fact signed off recently on Mr. Bouteflika’s capacity to run for a fifth term. But that was before a massive number of citizens began protesting, and the general’s call to order. If the council heeds his appeal — he is also vice minister of defense — two-thirds of the national assembly would have to go along. The head of the National Council, or senate, would then take over for a maximum of 90 days, during which elections would be held. The general’s speech comes after a week in which support for Mr. Bouteflika even in the ruling elite appeared to be evaporating. His own party, the FLN, or National Liberation Front, expressed support for the growing number of demonstrators, after previously mocking them. Members of the industry bosses’ organization, the FCE, have distanced themselves from its Bouteflika-supporting chief, Ali Haddad. And General Gaid Salah himself has over the last weeks been supportive of the demonstrators. ‘‘This proposal keeps the political process within the framework of the constitution,” Mr. Roberts said. “I don’t think they can possibly ignore this suggestion,” he said, referring to members of the constitutional council. That is the more difficult goal, analysts have suggested, as virtually all those in government are part of the “System,” including the man who would be designated as Mr. Bouteflika’s temporary constitutional successor, the president of the senate, Abdelkader Bensalah. He was reappointed to his position by Mr. Bouteflika in 2013, is close to the Algerian president, and like him is from the country’s west. At 76 he is part of the ruling gerontocracy and is a leading member of the RND party, which forms a coalition with the ruling FLN.